One of the most significant trends that could have an impact on businesses and workers during the next ten years or so is automation, specifically in areas like robotics, artificial intelligence and machine learning. While this might sound like the stuff of science fiction, these are very real concepts that are already having an impact in industries where key tasks can be automated, such as manufacturing. Discussion of these ideas often raises concerns about robots taking human jobs, but research has suggested there is also a lot of optimism about what the workplace of the future might look like. Business owners, managers and office workers who spend a lot of time completing routine tasks could see their day-to-day work transformed by automation over the next decade or so. In a recent study, consulting and technology firm Capgemini asked 1,000 office workers about their attitudes towards these cutting-edge technologies, finding that nearly half (47 per cent) of respondents had given serious thought to how automation could support their department’s everyday processes. That proportion increased to 85 per cent of office workers who were responsible for finances. 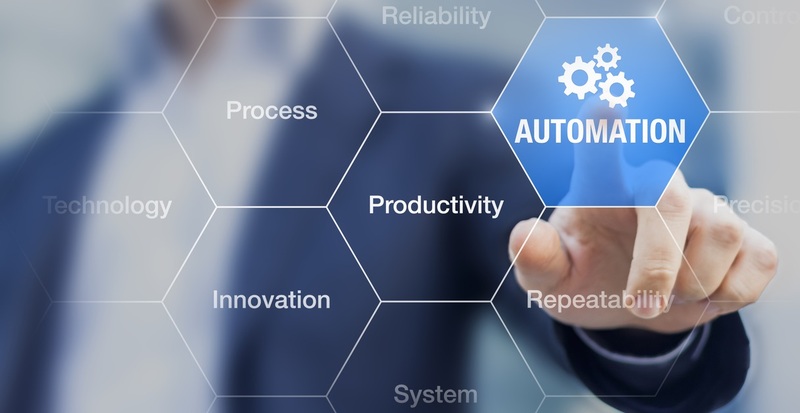 Business owners and directors taking part in the study felt that up to 40 per cent of business tasks within their organisation could be automated within the next three to five years. Key processes that could soon be completed automatically include invoicing (41 per cent), managing expense claims (28 per cent), reporting (28 per cent) and admin (28 per cent). How do workers feel about this? Employers and office managers need to give close thought to the impact that developments in automation could have on the workforce, particularly in relation to people’s concerns about losing their jobs. Encouragingly, research suggests that many people are open-minded about this subject and willing to accept that it could be beneficial. In March 2017, Jobsite released a survey of more than 4,000 of its users which showed that more than half (54 per cent) of respondents felt advances in automation will enhance their existing jobs. Only one in three (33 per cent) were worried about jobs being at risk. Similarly, nearly half (48 per cent) of the office employees surveyed by Capgemini were positive about the impact automation technologies could have on the workplace of the future. The most common perceived benefits include freeing up staff to focus on core, higher-value business tasks (27 per cent), lowering costs (25 per cent) and improving the accuracy of results (21 per cent). Mr Beardmore said it was “really heartening” to see that such a significant proportion of workers have an optimistic outlook as far as automation is concerned.